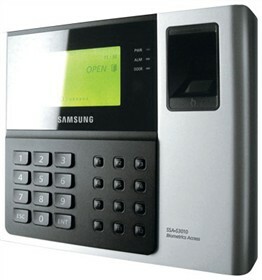 The Samsung SSA-S3020 is a standalone controller and 125KHz proximity and PIN access controller with keypad and fingerprint recognition having time and attendance capabilities. Multiple units can be networked together via RS-485 or TCP/IP using optional SAMS basic software. The SSA-S3020 can be programmed for up to 20,000 users with 2,000 fingerprint IDs and other features like time schedule setting by individual ID, input port, output port or reader mode. The Samsung SSA-S3020 has many exciting features for users of all types. The Samsung SSA-S3020 is sold as a Brand New Unopened Item.